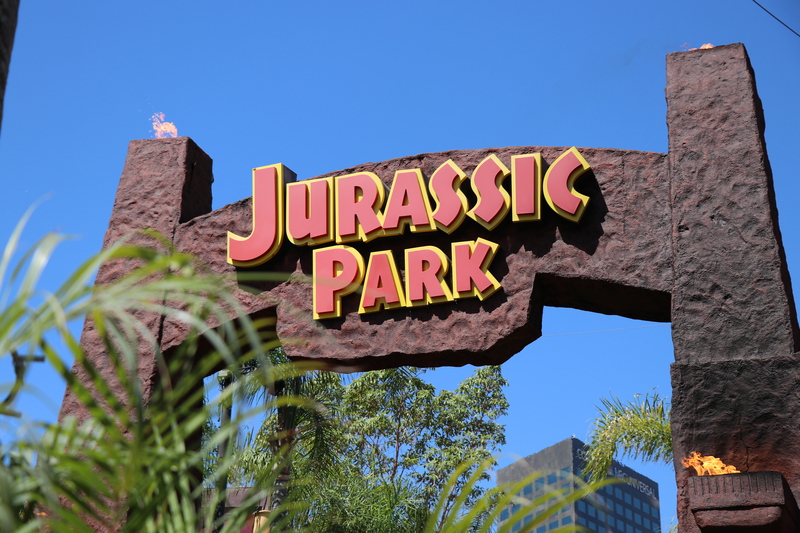 On our last trip to Universal Studios Hollywood, we were making our way down to the Lower Lot to see some of the progression of Halloween Horror Nights Mazes as well as a possible goodbye ride on Jurassic Park. 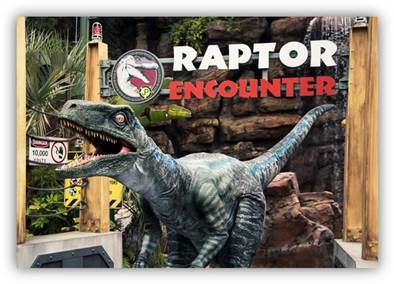 As we approached the bottom of the escalators, we noticed that the Raptor was already out for the Raptor Encounter! Us being dorks for photo ops, we went directly over for a face to face encounter. 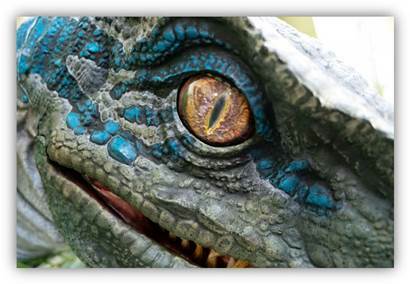 But this was no regular Velociraptor, it was BLUE! We were so jazzed to see Dino that we recognized from the Jurassic World film. The Raptor Encounter is possibly the coolest character photo op (Transformers is a close 2nd) you can get in any theme park around! 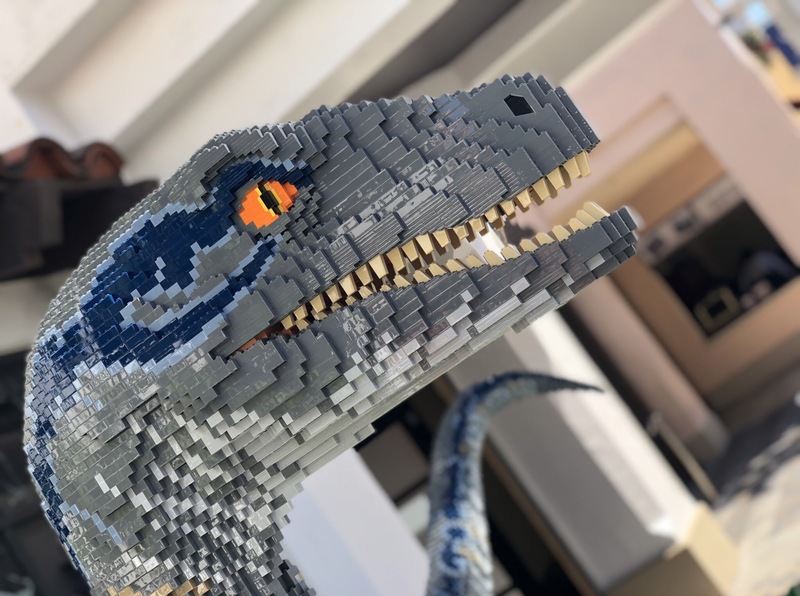 This raptor will eat Mickey for breakfast, lunch and dinner! It’s thrilling, it’s cool and it’s incredibly fun. Any chance we get, we visit our Dino friend on the Lower Lot. Now, knowing that Blue will be a permanent resident of the Lower Lot is incredible. 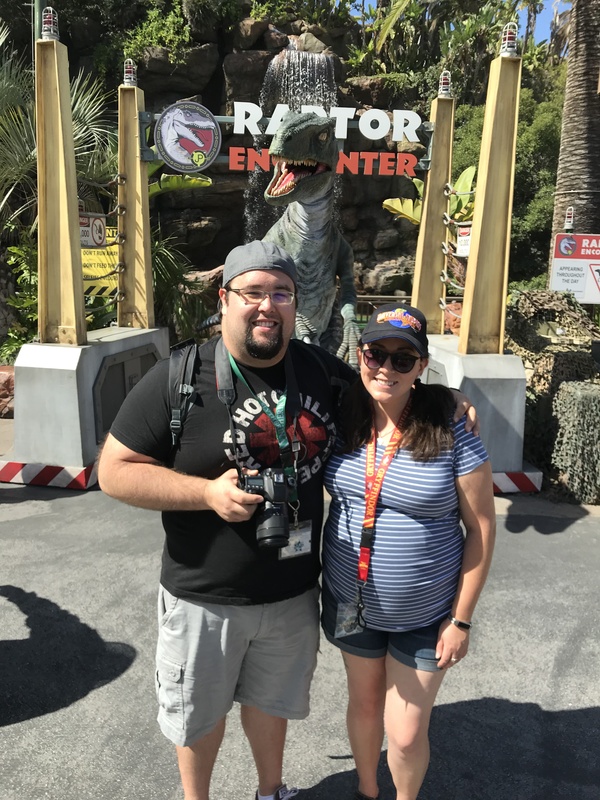 We can only hope we see this Dino family grow and we can get even more amazing photo ops with Dinosaurs from the Jurassic Park and Jurassic World films. Can you imagine a Dilophosaurus walking around spitting water at people on a hot day? 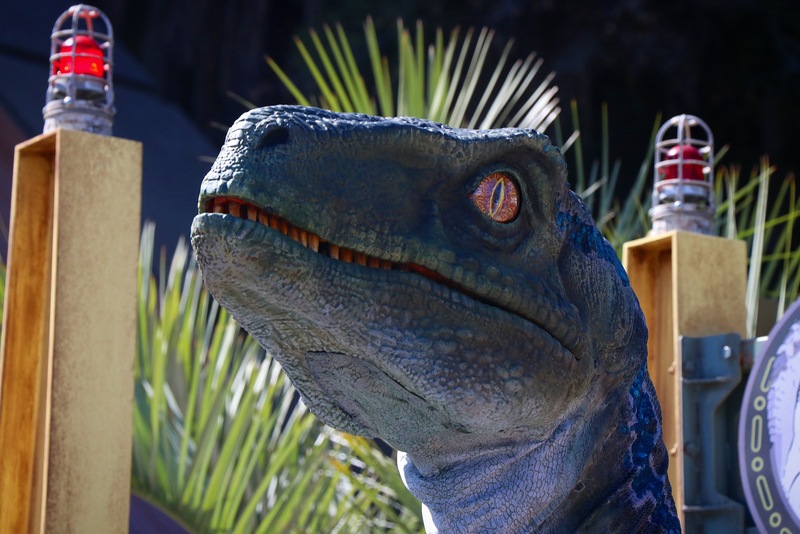 Below is all the info regarding Blue joining Raptor Encounter as well as Countdown to Extinction of Jurassic Park – The Ride at Universal Studios Hollywood! Ghost Town Alive Strikes Gold…AGAIN!